The glue gun may have won the battle, but I won the war. At least this one. I finished a crafting project and only blistered one finger with the glue gun! This is epic, you guys. My mom brought me several of my late grandmother’s pins earlier this summer. I have my doubts that my grandmother actually ever wore most of these pins, as they lean toward the sparkly and the offbeat, while my grandmother leaned in the opposite direction. Still, they were hers. Or, at least, they were given to her and she kept them for a long time and now they’re mine. I purchased a few of the smaller frames and went to work. 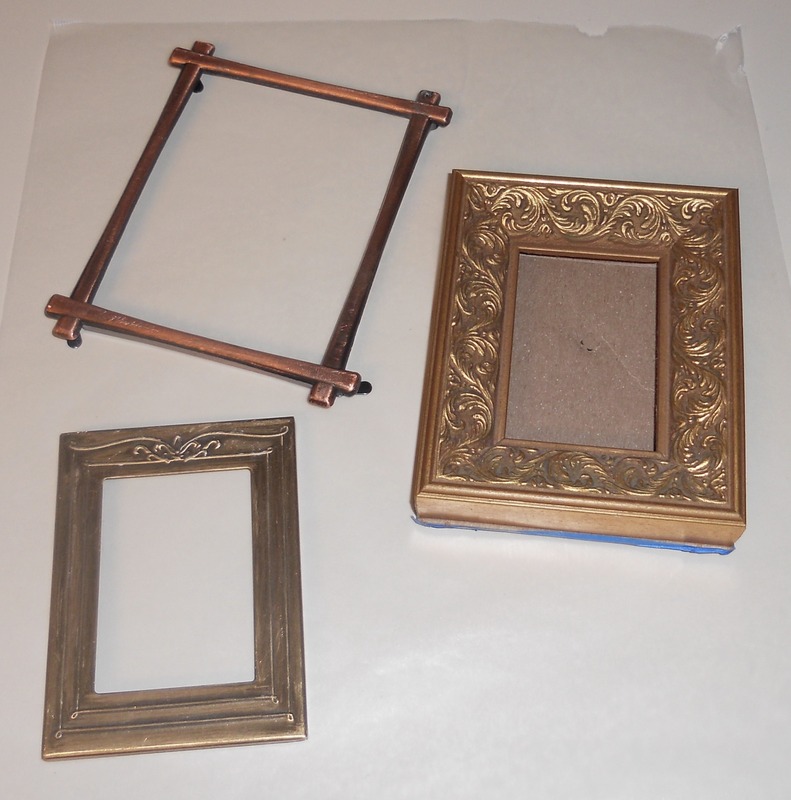 First, the frames had to be painted, because I do not get along with gold and bronze accessories. Black seemed like the color to best offset bright silver jewelry. 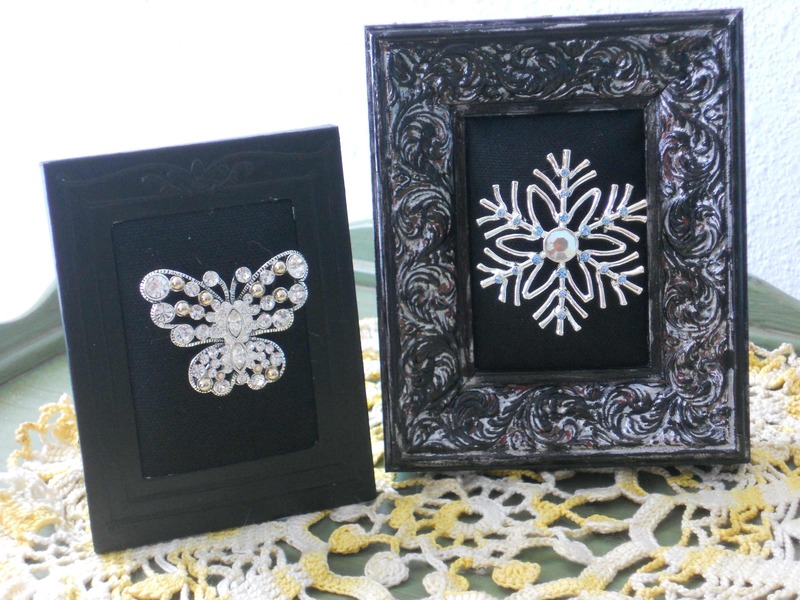 I had fun with a wooden frame that features highly stylized scrollwork, layering red, then silver, then black for a unique finish. The hard part was next. I bought your garden-variety pillow stuffing and some black cloth. I glued three edges of the cloth to the little piece of cardboard that goes between the frame and the glass, stuffed it with stuffing until it reached my visualized shape and glued the fourth side down. Finally, I crammed the cushion into the frame opening. It took more maneuvering to get the pins into the cushions than I had imagined, and I had to thread a tiny piece of invisible thread around the tops of the pins to keep them from tilting forward, but overall I’m calling it a successful project. Glue gun injuries aside. on October 6, 2010 at 10:06 pm | Reply robin P.
What a neat idea. I love this! Very creative way to display those treasures.